Miguel Mino-Rojas, 20, of Norristown. 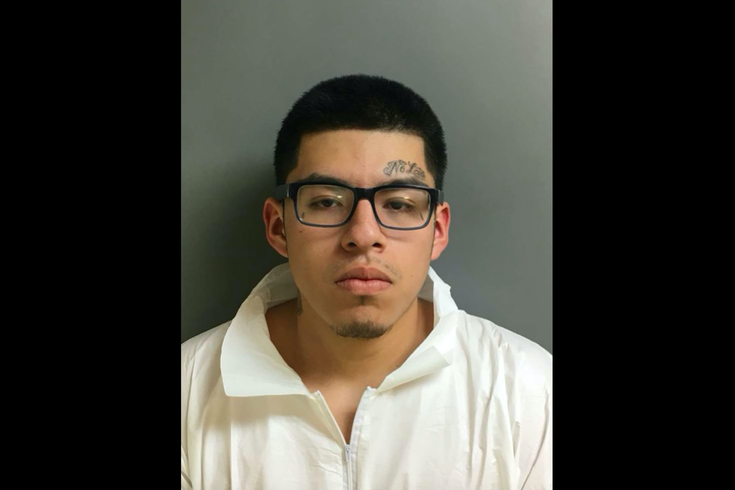 UPDATE (2/28/18): Prosecutors announced charges against Miguel Mino-Rojas, 20, of Norristown, in the deaths of Isaias Martinez, 53, and Guillermo Rivera-Rubio, 44 on Feb. 26. Prosecutors said the shootings occurred during a cocaine transaction. Both men were found inside a blue Dodge Neon with gunshots to their heads. An investigation revealed the victims were killed by a Pietta revolver 45-caliber Colt recovered from Mino-Rojas. Mino-Rojas faces first-degree murder and related gun charges in the incident. Authorities in Norristown are investigating an apparent double homicide after two bodies were found early Monday inside a parked car. Investigators said police responded to the 700 block of Chain Street for a report of a shooting just after midnight. At the scene, officers found two men who apparently sustained gunshot wounds inside a vehicle. One of the men was pronounced dead at the scene and the second man died after he was transported to Einstein Hospital. The identities of the victims were not immediately revealed pending notification of their families. Anyone with information concerning this incident is asked to contact the Norristown Police Department at 610-270-0977 or Montgomery County detectives at 610-278-3368.